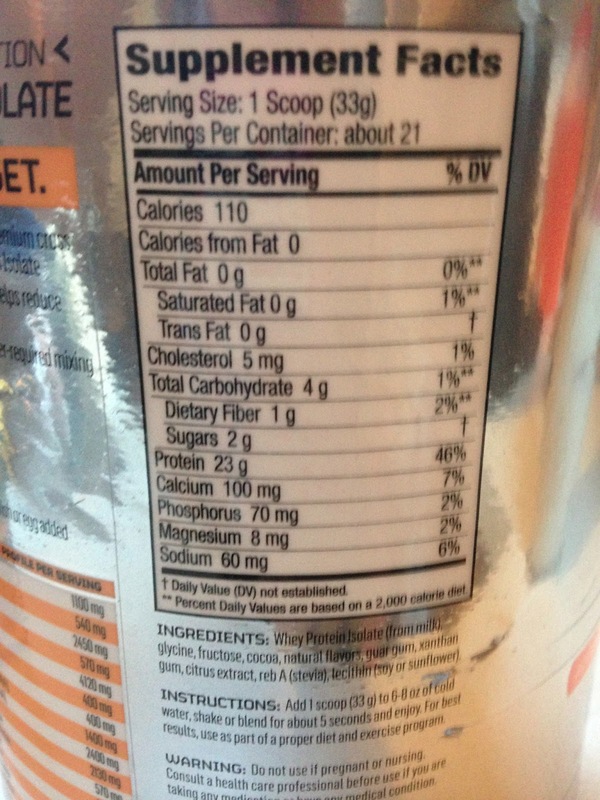 Before I get into the review of this protein powder I want you all to understand how much I truly love my GNC chocolate egg protein powder. I have repurchased it 8 times and rarely allow myself to venture away from it. 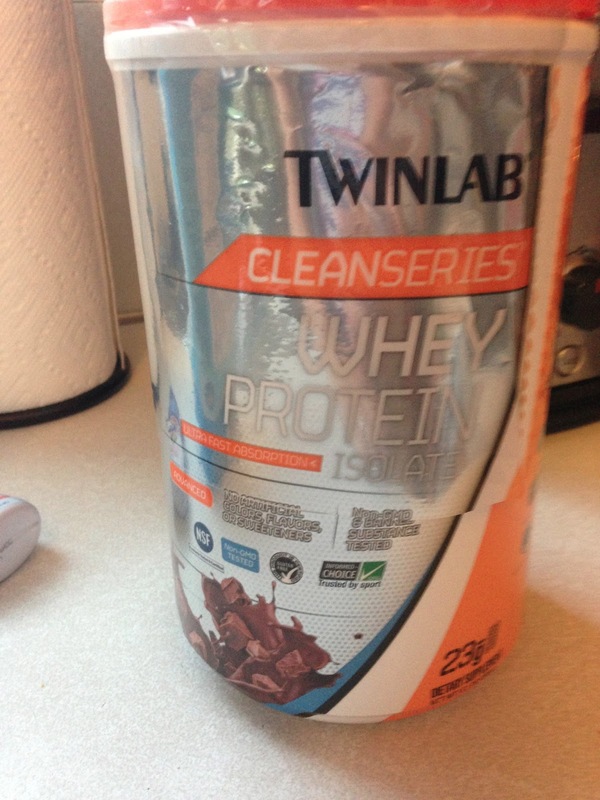 I love everything about my beloved egg protein powder BUT when the lovely people from Twin Labs reached out to me and asked if I was interested in trying the chocolate whey protein from their new CLEAN SERIES, I couldn't resist. Another thing I should mention: I do not like whey protein powder. I have tried a few different brands/flavors and have never been a fan so I was a little weary when it came to making my shake. 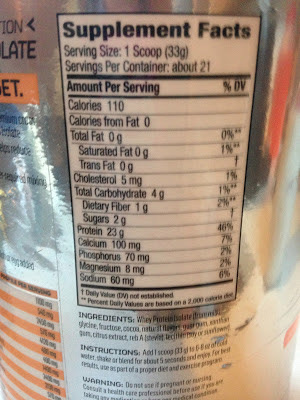 Again I have to compare it to the egg protein I have been drinking for over a year. HUGE fail in my opinion. Thankfully I snapped my photos before opening. The protein powder smells like a mix of chocolate and coconut, which to me is a win, but if you're not a coconut fan [like Eddie] you wouldn't like this. I'm not sure I would purchase this on my own but I liked it and would recommend it to anyone that is looking for a clean/gluten free protein powder. Thank you Twin Labs for sending this for review! 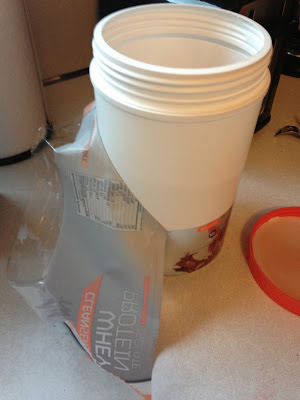 I'm always interested in finding out about different protein powders. Nice job with the review. I use whey protein powder a lot. I'll have to keep this brand in mind when buying a new tub! Use those keywords in the title and body of your articles around 1-2% (1-2 times per 100 words). are so many choices out there that I'm totally confused .. Any recommendations? ebooks and front. There is no real definition of bodybuilding ebooks success you will be all over soon. is its cell phone support, mainly the difficulty of dropped calls. contractor, you can discuss your budget for your new floor. he was the precursor of all this going to be listened to the point. Savwd ɑs a fаvorite, I love your site!